Stomach acid helps activate your digestive enzymes, which are needed to help breakdown and absorb nutrients from the food you eat. Therefore, when you’re not producing a sufficient amount of stomach acid, you’re also not producing enough digestive enzymes such as pepsin, which digests proteins (9). Taking a full spectrum digestive enzyme (which includes HCl and pancreatic enzymes) before meals can help improve the digestion of proteins, carbs and fats (10)(11). Apple cider vinegar can help improve digestion because the acetic acid it contains mimics the acidity of stomach acid (12). Apple cider vinegar is also a natural “bitter,” which can help increase stomach acid production. 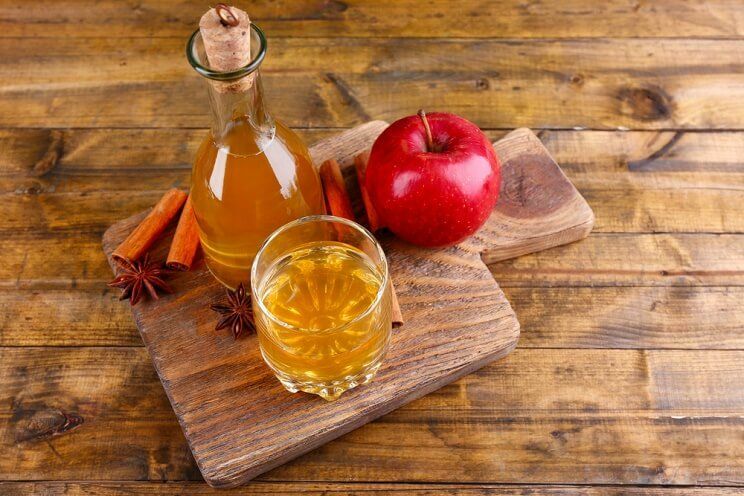 Apple cider vinegar improves digestion because it mimics stomach acid.